4BR Palmetto Oceanfront Condo with Stunning Views in Perfect Location!! All The Comforts Of Home At A 4-diamond Resort. Amenities Abound! Enjoy the vacation of a lifetime in this four-bedroom oceanfront condo in lovely North Myrtle Beach, SC. This unique end unit in the Jasmine Tower overlooks the Atlantic Ocean and the famous white-sand beaches of the Grand Strand from your private balcony. 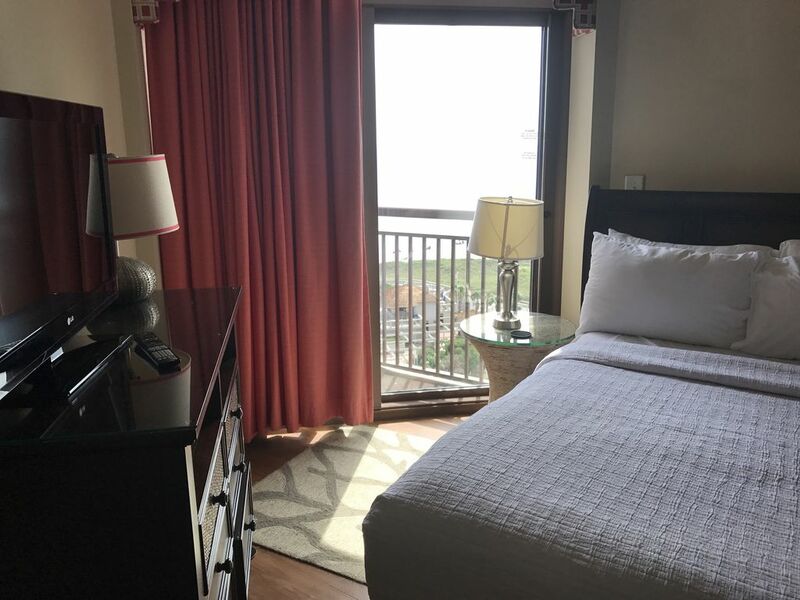 Matching the beautiful view is an elegantly decorated and fully furnished condo that is situated on the premises of the AAA Four-Diamond Award-winning North Beach Plantation, the ultimate vacation destination in the Myrtle Beach area. Featuring four modernly appointed bedrooms and sleeping up to 12, this oceanfront condo has 3 1/2 baths, a fully equipped center-island kitchen, large living and dining areas, and access to the spacious wrap-around balcony from every bedroom. The master suite has a king-sized bed with a private bath featuring a Jacuzzi tub and glass-enclosed shower. Other luxuries include a washer and dryer, Wireless Internet and a long list of North Beach Plantation's amazing amenities just outside your door. -The best way to reach me is via this site. The number on the account receives text only. -Check in is via the front desk of the property, and they are available to assist you 24/7 upon arrival. -Linens, towels, and parking are all included with your stay. -For your convenience, the kitchen has a coffee pot, basic cookware and utensils. Condiments and specialty items are not included. -Housekeeping is provided daily (trash & towels) - full service housekeeping available weekly for stays over one week. -Please remember that this is a Non-smoking property, including the balcony. -No Motorcycles, RVs or Trailers are allowed on Property. -No Pets are permitted (except registered service animals). -All occupants must be 25 years of age or accompanied by a parent or legal guardian. -A $200 security hold required at check in and released at check out after the property is inspected. -I do offer a damage waiver option for $46 (non-refundable) in place of the resort security hold. Please just let me know if you prefer this option and I’ll be happy to add it to your reservation. Located on a 7 ½-acre “island” between the Atlantic Ocean and White Point Swash, North Beach Plantation is a multi-year recipient of the AAA Four-Diamond Award. Guests have full access to the 2 1/2-acre oceanfront water park filled with pools, hot tubs, fountains, lazy river, beach access, private cabanas, and a swim-up bar that was voted No. 1 in the US by TripAdvisor. Visit the award-winning 21 Main Steakhouse and Sushi, pamper yourself at the on-site Cinzia Spa, or go for a beach stroll or bike ride around the property and soak up a slice of the good life. North Beach Plantation offers true seclusion but is located near excellent attractions, golf, shopping, dining and nightlife opportunities. Nearby Barefoot Landing is one of the most popular entertainment complexes on the Strand, featuring the Alabama Theatre, House of Blues and dozens of great restaurants and shops. Just across the Intracoastal Waterway is Barefoot Golf Resort, which offers four championship courses among the 80 located along the 60-mile stretch of Carolina coastline known as the Grand Strand. Other top attractions include the Myrtle Beach Boardwalk, Broadway at the Beach, and Market Common - all within driving distance of North Beach Plantation. ask me about local golf! Numerous hot tubs at resort pool complex. We loved this condo! Very clean and spacious. Terrific view of the beach and pools. We will definitely come back! Fabulous condo with breathtaking views. We thoroughly enjoyed our stay in this gorgeous and immaculate condo! Thank you so much for your positive feedback. I am glad that you all enjoyed your stay and cannot wait to help you plan another trip. Beautiful property and great location! My family stayed at this property this past week. We have made regular trips to Myrtle Beach in recent years, staying at a number of properties in North Myrtle Beach. This condo, and the overall property, were one of the best we have stayed at. The condo was clean, spacious, and well decorated. It had a fantastic beach view with the wrap around terrace. We had a party of six, and the four bedroom setup provided the perfect space for our group. Separately, the pool area on the property was top notch, with a varied selection of pools and hot tubs (and a lazy river). The location of the property was right across from Barefoot Landing and convenient to many places. We would definitely consider staying here again and I would recommend it to others. James, thank you so much for your positive feedback! I am so glad that you all enjoyed. Please keep me in mind for the next trip I would love to help you plan! Grew up coming to Myrtle since the 60s, of the hundreds of places I've stayed this was by far the best. Looking at Christmas now! Thank you so much for your positive feedback. I am so glad that you all enjoyed yourself and I hope to see you in December. Please let me know how I can help. This is a beautiful property! We loved every bit about it. The unit was beautiful and spacious. The pools were well kept and not too crowded. It was not too hard to find a lounger in the sun and the towel service was fantastic! The location was perfect. Right by all of the north Myrtle Beach best attractions like Barefoot Landing. The condo was absolutely beautiful and surpassed our expectations! Pricing includes taxes and fees. Rates and initial deposit are negotiable based on season and length of stay. Email an inquiry for tailored pricing.